Riding motorcycles can be a liberating and exhilarating experience, not to mention the savings at the pump. Unfortunately, it can also be incredibly dangerous. Motorcyclists are not afforded the same protections as those operating cars or trucks as they are mostly exposed to their environment. According to the National Highway Traffic Safety Administration, fatality rates for motorcycle riders were 29 times that of drivers and passengers in other types of motor vehicles. 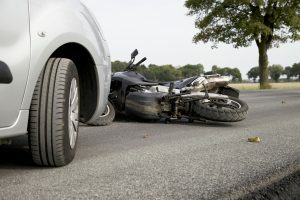 However, if a loved one has been killed in a motorcycle accident resulting from the reckless or negligent actions of another party, you may be able to recover compensation for the damages your family has suffered through a wrongful death claim. The personal injury attorneys of Kamensky, Cohen & Riechelson believe that motorcyclists have an equal right to our Pennsylvania roadways as drivers of passenger vehicles. We take pride in protecting the rights of bikers in PA towns such as Northeast Philadelphia, Bensalem, Levittown, Millbrook, Feasterville, Penndel and the greater Bucks County region. Our firm has over four decades of experience finding full and fair compensation for our clients through personal injury claim settlements and verdicts. If your loved one has been seriously injured or killed in a motorcycle accident, let us put that experience to work for you. Call our office today for a free and confidential consultation with one of our personal injury legal representatives to discuss you or your loved ones motorcycle accident and to find out more about how we can serve your needs. Despite laws and regulations protecting the rights of motorcyclists in Pennsylvania, they are still at high risk of injurious accidents as demonstrated above. If your loved one has been killed in a motorcycle accident, what are your available options? In order to successfully recover compensation for your family through a personal injury claim, our Northeast Philadelphia attorneys must show that the fatal accident was caused by the recklessness or negligence of another party. When finding fault in Pennsylvania personal injury cases, there can be innumerable factors which depend heavily on the exact circumstances surrounding your accident. For motorcycle accidents, most liable parties will either be other drivers, property owners, or even potentially the manufacturer of the bike itself. The most common at fault party will be other drivers. In order to prove their negligence, our attorneys will aim to show that they were driving unlawfully by driving drunk, driving distracted, speeding, driving recklessly, driving while exhausted, driving without a valid license, or several other possibilities. Pennsylvania uses “comparative negligence” statutes for personal injury claims. What this means for individuals injured in motorcycle accidents is that they and their families may still be entitled to financial compensation if they were found to be partially at fault. For example, let’s say a biker is not wearing a helmet and is under the age of 21. This is a violation of state law. They are then killed in a motor vehicle accident due to the drunk and reckless driving of a truck driver. The biker may be held partially liable for the fatal accident due to his or her failure to lawfully wear a helmet, but this negligence is not greater than the negligence of the other party choosing to drive drunk and with recklessness. The motorcyclist may be found to be 20% liable for the fatal accident, which means that his or her family may still be entitled to 80% of the total damages incurred. For additional information on comparative negligence and other potential complications in your personal injury claim, give us a call to speak with a member of our legal team. At The Law Office of Kamensky, Cohen & Riechelson, our experienced personal injury attorneys have been serving clients injured in motorcycle and other motor vehicle accidents since 1972. We believe in fighting for the financial compensation needed in the aftermath of a motorcycle fatality in Pennsylvania towns including Northeast Philadelphia, Feasterville, Levittown, Bensalem, Penndel, Millbrook, and all of Bucks County. There is no way to turn back time and reverse the devastating effects of a fatal accident, but we can at least strive to help with the financial burden in this difficult time. Contact us online or give us a call at our Bensalem offices by dialing (215) 337-4915 today to speak with a member of our experienced legal staff regarding your loved one’s fatal motorcycle accident in a free and confidential consultation.